Cooper Dining Hall serves as the dining hall for Central Campus and is connected to both Funnelle and Hart Halls. 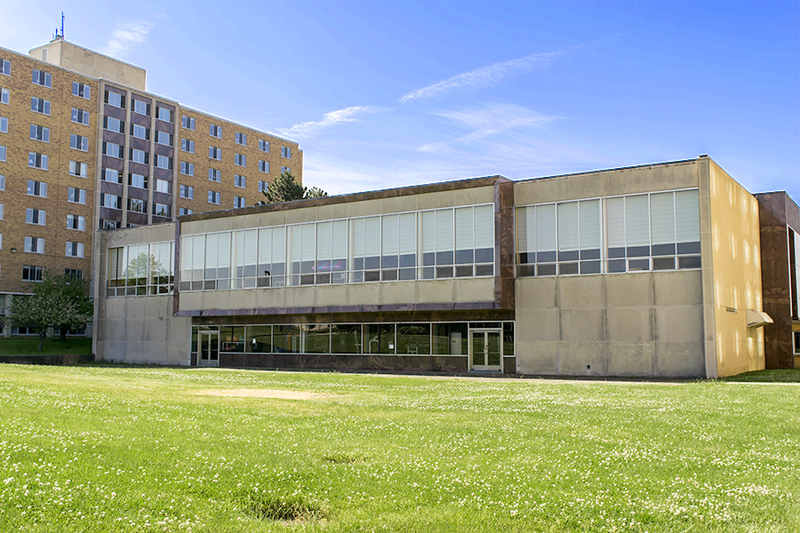 Within the Cooper building is the Cooper Fitness Center as well, which is located directly below the dining hall and services those from Central and East Campus. Opened in 1967, the dining hall was named in honor of James Fenimore Cooper, a famous American author from the Romantic era of the 1800s. Cooper lived in Oswego during 1808 and 1809 while stationed at Lake Ontario with the Navy. Though Cooper was in Oswego a short time, the area had a lasting influence on him, and he used the area as the backdrop for multiple of his novels.